Airbnb hosts in Indiana earned $20.7 million in 2017. Following are figures for the state's top 20 cities. Kathy Leigh-Manuell struggled with what to do with a vacant apartment on her property in northeast Fort Wayne. Two years later, she has turned the remodeled living space into reliable retirement income. She is glad she took their advice. Leigh-Manuell, 65, estimates the little apartment has netted $20,000 in bookings this year through Airbnb, an online marketplace that offers alternatives to traditional hotel stays. “That's a nice little chunk of change for someone who's retired,” she said last week. Leigh-Manuell is one of nearly 4,000 Airbnb hosts in Indiana who collectively earned more than $21 million by renting homes, apartments and other spaces in 2017, according to the company. Hosts in Indiana typically earn about $4,700 annually, an Airbnb spokesman said. Indianapolis drew 73,000 visitors, and hosts there earned more than $8.4 million in 2017. Fort Wayne ranked fifth on Airbnb's Indiana list of host income, with $437,900. The company reported hosts in South Bend, Bloomington and Michigan City earned a combined $5.6 million this year. 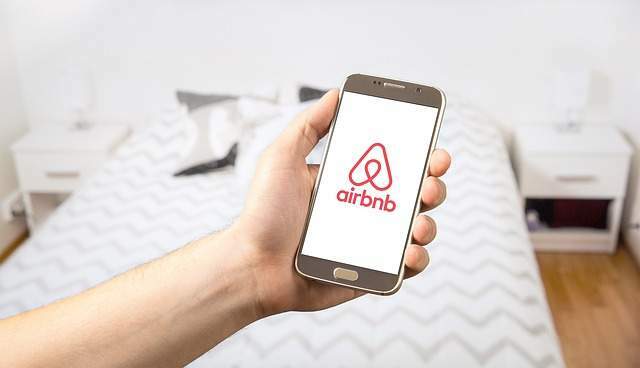 Airbnb has faced criticism and questions about privacy and whether some renters are property managers rather than homeowners looking to provide short-term rentals. It also has tried to counter the hotel industry, which argues that Airbnb is cutting into its business without having to charge guests lodging taxes. Jonathon Day, an associate professor at the Purdue University School of Hospitality and Tourism Management, said it's difficult to determine how much Airbnb affects traditional hotels and motels. Citing research from STR, an industry monitoring company, he said year-to-date occupancy at hotels and motels is up nearly 1 percent. “The big question is how much Airbnb is impacting hotels,” Day said in an email. “There is some evidence that the impact is not that great. That's the key for renters like Leigh-Manuell. She said hotels and motels simply don't work for some of her guests. A Norwegian couple came to Fort Wayne to adopt a baby, she said, and didn't want to spend time with the child in a hotel. Her property can also offer children a backyard in which they can play, she said. “It brings a lot of people to Fort Wayne who don't want to stay in hotels and who hotels don't really work for,” said Leigh-Manuell, who charges $75 per night for her apartment. Liz Monnier is finishing her second year renting space in her home in the West Central neighborhood via Airbnb. Since posting the upstairs apartment on the website, she has rented more than 200 nights to visitors, she said. More than a third of Airbnb hosts in Indiana rent out an extra, unused room, the company said.